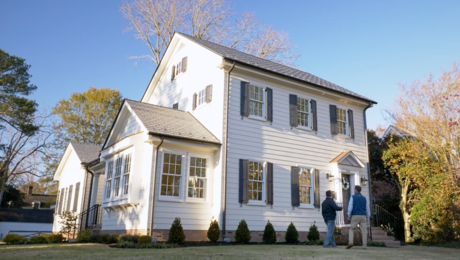 In my brief research, I’d say tiny houses garnered attention at the turn of the centuries—both the 20th, as America was growing, and the 21st, as property values were growing. 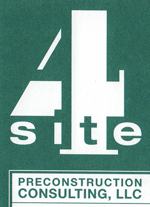 They were recognized in the 2018 edition of the International Residential Code in Appendix Q, and since I’m a code guy, that’s where I’m going to pick up the story. Most tiny homes have a similar approach to interior layout, including an open floor plan and often one or more lofts. In order for a tiny home to meet code, it has to get some favors from the IRC for provisions like ceiling height, stairway geometry, and use of ladders. While the IRC aims to protect people from such small and confined living spaces, tiny home advocates have adopted this very concept as a lifestyle philosophy. The new home up to 400 sq. ft. some leeway with the code. Alternating tread devices and ships ladders are allowed in standard homes—typically used to access lofts and the like—but only as a secondary means of ascent. 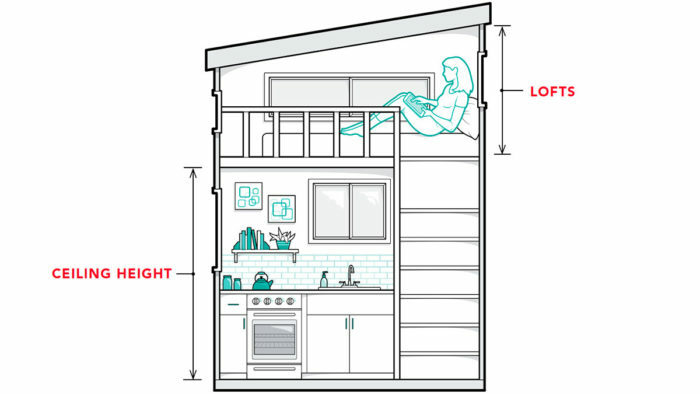 In a tiny home, they can be the primary means of ascent. 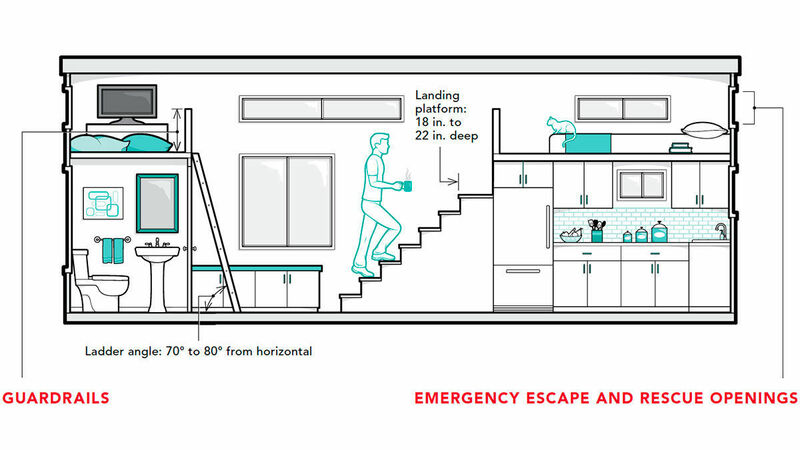 Unique only to tiny homes, ladders to a loft are also permitted— saving on floor space— but they can’t be vertical. Ladders must be between 70° and 80° from horizontal. They can be as narrow as 12 in. between the side uprights, and the rung spacing can be between 10 in. and 14 in. Like stairways, the spacing of rungs must be consistent to within 3⁄8 in., and each rung must be capable of supporting 200 lbs. 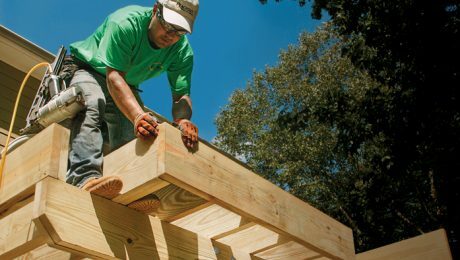 How will it address foundations and tie downs as most tiny homes we see are on wheels? Not sure about your fractions? 10" x 4/3= 10/1x4/3= 40/3= 13 1/3"
20" - 13 1/3" = 6 2/3" which isn't a very comfortable tread unless it's open. 7" x 3/4= 7/1x3/4= 21/4= 5 1/4"
15" - 5 1/4" = 9 3/4" riser, about the same as the example above. A ladder might be a better option at those riser heights.